Do you wonder why your face looks swollen in the morning? It is natural to feel concerned when it happens every morning. It can hit your confidence since it may feel a bit awkward to socialize when your face is swollen. Facial swelling could indicate many underlying problems. What you eat may have a role to play as well. While it may not be serious, you should not ignore facial swelling if it happens every morning. It is your body's way to tell you something is not right. Here are some of the most common reasons of having a swollen face in the morning. The answer to why your face swells in the morning may be in your diet. If your sodium intake is on the higher side before bedtime, you may have to deal with a number of issues, including facial swelling. This happens because too much salt in the body results in water retention that can cause puffiness. It may seem difficult at first, but you need to stop your nightly wine guzzling fest to avoid having puffy skin in the morning. Alcohol can lead to dehydration and at the same time, it dilates your blood vessels, which in turn can lead to puffiness and flushing. Even if you think it is too late to remove all your makeup, you should push yourself and resist the temptation to sleep without removing your makeup. And you should make use of a gentle makeup remover before you go to sleep. Failing to do so can cause an allergic reaction when specks of mascara or eye shadow enter your eyes. Why is my face swollen in the morning? You ask. Your pillow may be to blame. If you sleep with your head sinking too low in your saggy pillow, the fluid around your eyes may not be able to drain with ease, which can lead to puffiness. Be sure to keep your head elevated and sleep on your back to prevent facial swelling. Sometimes, people develop puffy eyes with facial swelling when they are exposed to an allergen. You can be allergic to dust, pollen, animal dander, cockroach droppings, bee stings, latex, mold spores, and certain chemicals. You can also have food and skin allergies. When you develop an allergic reaction, you are going to experience several symptoms, including itching, sneezing, swollen face, breathing problems, hives, diarrhea, and skin rashes. This bacterial infection affects your skin and causes symptoms such as warmth, redness, and tenderness in the face. The redness and swelling around your eye may indicate a bacterial infection on the tissue. You usually develop this infection when another infection, such as sinusitis or conjunctivitis spreads. This bacterial infection inflames the lining of the mucus membranes of the sinus and causes pressure and painful sensation around the eyes as well as cheekbones. This swelling can make your face look puffy. You may also develop headaches and upper respiratory infection with acute sinusitis. Your thyroid glands secrete thyroid hormone that is essential for normal metabolism. You develop hypothyroidism when the gland is underactive, and you develop hyperthyroidism if the gland is overactive. These disorders can cause facial swelling along with other symptoms. Hypothyroidism may cause joint pain, fatigue, weight gain, heavy menstrual periods, and swelling in the hands and feet. While hyperthyroidism may cause symptoms like palpitation, muscle weakness, quick mood swings, sleeping issues, and weight loss. Why is my face swollen in the morning? This could definitely happen when your diet is high in sodium, you have thyroid problems, you drink alcohol, or you have sinusitis or cellulitis. However, there can be some other factors contributing to facial swelling. For instance, you may have edema, which is the buildup of fluids in the tissues and muscles. Similarly, excessive alcohol intake, hypertension, smoking, unhealthy lifestyles, obesity, side effects of medications, and physical injury can all be responsible for facial swelling. 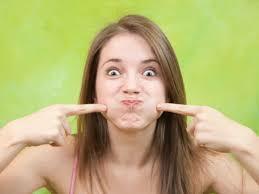 It is also common for women to experience facial swelling during pregnancy due to hormonal fluctuations. Be sure to drink plenty of fluids to keep your body hydrated. Limit your salt intake and eat more of fruits, veggies, and nuts. Always use appropriate makeup and never sleep without removing your makeup to prevent allergic reactions. Use a good quality cleanser to cleanse your face regularly. Never use makeup that has expired, especially eyeliner, mascara, and eye shadow. Get plenty of sleep to avoid facial puffiness. Your body needs time to circulate fluid properly, which in turn helps reduce facial swelling. Wrap ice cubes in a cloth and place on your face to reduce swelling. Be sure to exercise regularly to release feel-good hormones and stay healthy.